Office of Student Financial Aid! We want you to be successful at Indiana State University—and to take advantage of all of the financial opportunities you may be eligible to receive. We have many resources available for you to access on our website and we are more than happy to provide any additional assistance that may help you along the way. For our office location, hours and contact information - click here. 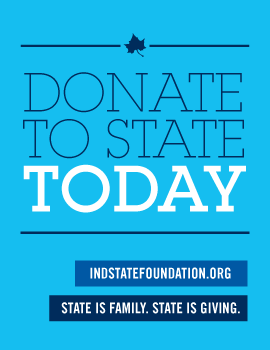 Below are some steps to help you prepare for Indiana State University. Visit our checklist page for more details! Still can't find your answers? Contact Us!